When you see Stitchelton, do not hesitate, just pick it up and buy it. This farmstead cheese is the ultimate homage to preserving the heritage of British cheesemaking. Made in the same region as Stilton, but made with raw milk. This is an ultra creamy/velvety textured cheese with a bright flavour profile, long lasting finish is both highly complex and highly delicious. Books that go on an on about “the evils of dairy’ or how “bad cheese is for you”, particularly when sold in stores that also sell copious amounts of specialty cheese just drive me batty, and leave me no choice but to consume good cheese in protest. Fourme d’Ambert is one of the world’s oldest cheeses, dating back to Roman times. This is one of the mildest blues I’ve come across, starts out sweet and creamy, ending with savoury finish, an easy to digest form of protest. 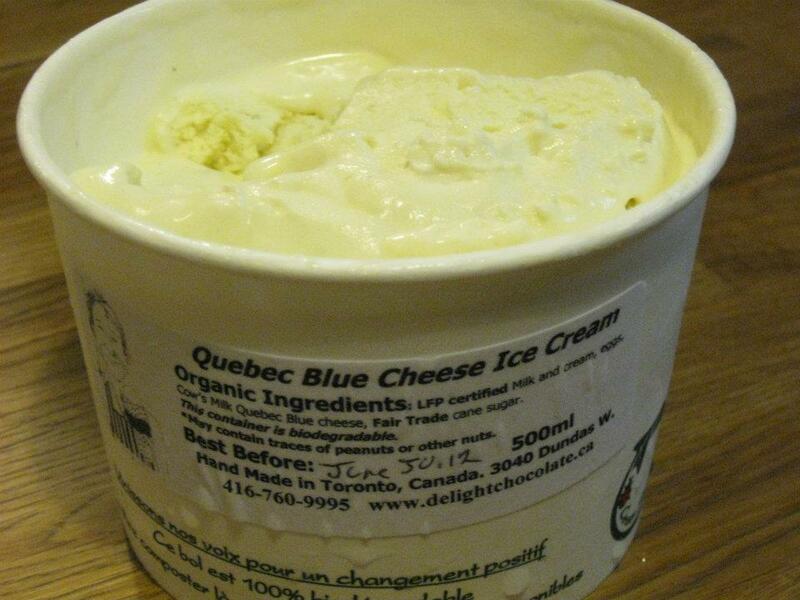 Posted in about me, blue cheese, cow milk, cream, creamy | Comments Off on Hot enough for you? Smokey Blue is one heck of an addictive cheese from the legendary Rogue Creamery from Oregon, USA. Originally starts out as Oregon Blue, and is then smoked over hazelnut shells for 16 hours to become this tasty treat. I enjoy it for snacking, burgers, and as a key ingredient in mac & cheese with cauliflower, with pancetta in the topping. Highly recommended. I noticed that my on the fly explanation of how blue cheese becomes blue might be open to mis-interpretation. To clarify, in cheesemaking, the milk is inoculated with appropriate cultures, then once formed into a wheel of cheese, pierced to allow air to penetrate, and that is how the blue is activated if you will. This is not always the case, in some cases, then cheese is hand ladled, and the blue veining will come about with more time.